Peter M. Cooke, MICA’s founder, teaches a series of four asbestos-related microscopy courses during February and March in Hayward, CA for the convenience of our West Coast and Pacific Rim clients. If you’d like to do some sightseeing while in California, you’ll be glad to know that Hayward is across the bay from San Francisco, one of the most picturesque cities in the world. Class begins at 8:00 a.m. each morning and ends approximately 5:30 pm Monday through Thursday, and by 1:00 pm on Friday. If you plan to fly on Friday, it’s best to schedule your flight after 4:00 pm to allow sufficient time to get to the airport. We ask that you refrain from using cell phones during class. There is a break both in the morning and afternoon, as well as lunchtime. Your cooperation will make for a much more satisfying educational experience for all. Plan to spend approximately 1-2 hours on assigned reading each evening. In addition to morning and afternoon breaks, students have a 45-minute lunch period. Beverages and snacks are provided by MICA. Lunch is on your own, and is available at several local venues. MICA supplies an individual microscope and all associated reading materials for each student. If you prefer to bring your own microscope, please let us know in advance. Certificates: If you have successfully completed the course and your tuition is paid, you will receive a MICA certificate at the conclusion of the course. Replacement certificates cost $40 and will be mailed to the laboratory that paid for the course. There are two hotels close to the classroom location. LaQuinta Inn & Suites, approximately 4 miles from the classroom, has been recently renovated. It is within walking distance of a number of restaurants and shopping plazas, including a grocery store and a Target. It offers a complimentary hot breakfast for all guests. Fairfield Inn & Suites, a newer hotel, is about 2 miles from the classroom, but with the exception of a Starbuck’s and a fast food restaurant, there aren’t any restaurants or shopping nearby. It also offers a complimentary hot breakfast for guests. NOTE: Neither hotel offers shuttle service to and from the classroom. You will need to either rent a car or use Uber, Lyft or a conventional taxi service to get to/from the classroom. It’s possible that once you meet your classmates on Monday, you will be able to arrange to carpool with other students who have a car onsite. 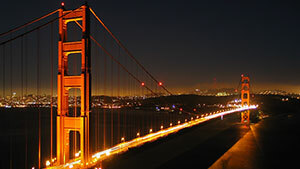 There are three airports that serve the San Francisco Bay area. San Francisco International Airport (SFO) is approximately 45 minutes northwest. Oakland International Airport (OAK) is approximately 20 minutes north of Hayward. San Jose International Airport (SJC) is approximately 55 minutes south. Uber, Lyft and taxi services are available from the airport; SuperShuttle is also available. Bay Area Rapid Transit (BART) is the public transportation service in the Bay Area.